On the eve of the 10-year anniversary of the passing of actor and activist Christopher Reeve, the Christopher & Dana Reeve Foundation launched the most ambitious effort in its history, "The Big Idea." The foundation hopes to raise $15 million to fund the next phase of epidural stimulation research and bring life-changing therapy to more individuals living with spinal cord injuries. The once inconceivable notion that a damaged spinal cord could be repaired is closer to reality, as reported in an April 2014 study published by researchers from UCLA and the University of Louisville in the medical journal Brain, in which four young men who were paralyzed for years were able to voluntarily move their legs and bear weight as a result of epidural stimulation of the lower spinal cord. Even more revolutionary, the participants experienced significant improvements with autonomic functions – including bladder, bowel and sexual control – an unprecedented breakthrough for the field. "While we hoped that epidural stimulation would facilitate movement for individuals with complete paralysis, the autonomic recovery was an accidental discovery, but a quantum leap toward reversing the most devastating and life-threatening complications of a spinal cord injury," said Peter Wilderotter, President and CEO of the Christopher & Dana Reeve Foundation. "After centuries of darkness, we have promising therapy in the here-and-now to transform the lives of those who were told nothing could be done for them." The Big Idea builds on the initial study findings by expanding to include 36 participants to explore the efficacy of epidural stimulation in improving the autonomic functions lost with a spinal cord injury, including bladder, bowel, and sexual function, as well as temperature regulation, cardiovascular, and respiratory function. Commonly known as "secondary complications" of paralysis, these health complications, at times, result in infections, frequent medical visits, and hospitalizations, as well as a decrease in quality of life and independence. Additionally, the ability to stand and control voluntary leg movements below the level of injury in the presence of epidural stimulation will also be evaluated. Epidural stimulation, in the context of paralysis of the lower extremities, is the application of continuous electrical current, at varying frequencies and intensities to specific locations on the lumbosacral spinal cord, corresponding to the dense neural bundles that largely control movement of the hips, knees, ankles, and toes. The intervention mimics signals the brain normally transmits to reengage the spine's neural network and initiate movement. The results were unexpected, leading researchers to speculate that some pathways may be intact post-injury and therefore able to facilitate this unprecedented recovery. The $15 million raised by the Reeve Foundation will cover expenses related to the five-year study, including the research, data collection, and advocacy work necessary to expedite epidural stimulation to the clinic. Throughout the course of the five years, all 36 participants will be implanted and trained, as well as evaluated post-intervention. The Big Idea will also track the financial benefits related to medical and hospitalization expenses that are expected to be reduced as a result of the intervention. Ranging in neurological level from C6-T5, all four men in the initial study were classified with a chronic motor complete spinal cord injury, including two participants who were both motor and sensory complete, and at least two years post-injury during the time of the intervention. Additionally, the four men were of stellar physical health and highly athletic both prior to and following their injury. The next 36 participants will include a wide range of backgrounds, varying injury levels and all with chronic, complete spinal cord injuries to further evaluate the efficacy of epidural stimulation. 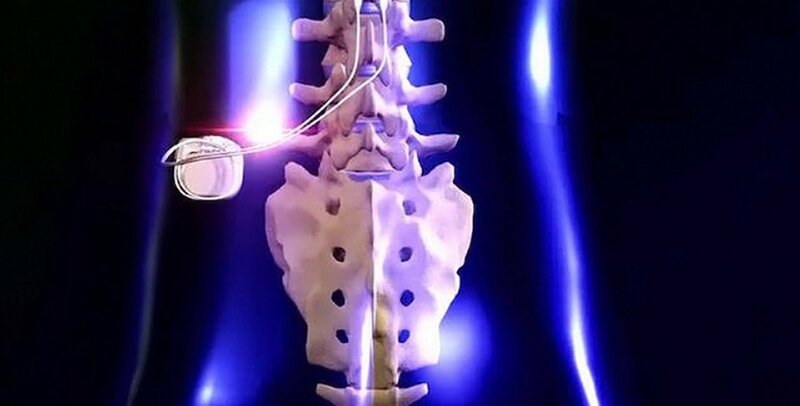 "Epidural stimulation has challenged what it means to be diagnosed with a complete injury and confirmed that recovery is possible even years following trauma. The Big Idea is a culmination of decades of basic science and the commitment of researchers to advance promising therapies," said Susan Harkema, PhD, principal investigator on The Big Idea study, University of Louisville professor and co-director of KSCIRC, director of the Reeve Foundation's NeuroRecovery Network. The University of Louisville will also act as the principal site conducting the research throughout The Big Idea study. "As we approach the 10th anniversary of my father's passing, I know he would be immensely proud of the progress we've made thus far, from basic science to human trials, to accelerate the development of effective therapies," said Matthew Reeve, who serves as Vice Chairman of the Reeve Foundation Board of Directors. "But The Big Idea is a revolutionary new step toward ending paralysis that he never could have foreseen. It's the start of a new dawn for spinal cord injury research, and one that will soon deliver on his dream of a world of empty wheelchairs." With nearly 6 million Americans living with paralysis, including 1.275 million spinal cord injuries, this research signals a significant breakthrough in terms of developing clinical therapies to advance the treatment of paralysis. Positive results in this 36-participant study would yield a critical mass of efficacy data and compelling justification for translating epidural stimulation into the clinic. While The Big Idea will evaluate the impact of epidural stimulation on spinal cord injury. Researchers believe that the intervention could also be effective to treat other neuromuscular diseases and disorders, such as stroke, amyotrophic lateral sclerosis, multiple sclerosis, and Parkinson's, thereby broadening the patient population benefitting from its use and potentially eradicating millions of dollars in annual healthcare costs. The Big Idea research is slated to commence in 2015 once the fundraising goal is met. For more information about The Big Idea and epidural stimulation research, please visit reevebigidea.org.